The twenty days that we have been scheduled to stay in Beit Sahour are concluded – we depart this afternoon. 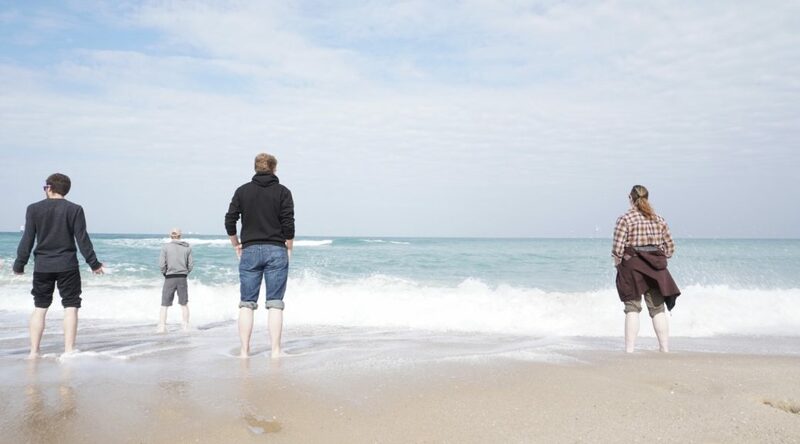 This is the longest amount of time that we’ve been headquartered in one spot, and some would say it’s been just long enough to start really digging in and adapting to the lifestyle here before being uprooted. That’s the nature of this semester’s journey. We hop from place to place in bursts, taking in the environment, natural and human, and the stories, old and new. Sometimes we linger enough to reflect, and sometimes we must process on the go as we shift into what can seem like one entirely different cross-cultural after the other. Each time, a piece is added to either clarify or complicate (usually both) our understanding of the puzzle that is the Middle East, with all of its beauty and struggle. This final week in Palestine has had many puzzle pieces to contribute to our experience. On Sunday morning, our group drove out into the wilderness to begin our hike to Jericho, the lowest city in the world and debatably the oldest. The hiking was a welcome change of pace from the classroom studies and lectures that we were becoming accustomed to. The weather was wonderfully sunny and warm, perfect for the basking, wading, and exploring we did at the spring we came across. This spring morphed into a pretty ancient aqueduct that we followed for the next several hours. Some of us decided to really test the reliability of our WaterBasics filter bottles and took advantage of this available running, but not particularly translucent, water source. Thankfully, no adverse effects tarnished our time of appreciation for the gorgeous landscape throughout the rest of hike. When we reached Jericho, it was now more than comfortably hot – perks of being the lowest city in the world. We spent the late afternoon visiting Zaccheus’ sycamore tree, doing some downtown meandering, and hunting for cheap snacks before taking a bus back home. At first, I believed the Monday group had it the roughest; the Arabic final exam was that morning. The rest of the day was pretty open besides an afternoon lecture and an evening soccer game. The lecture was on the influence of international funding in the occupation and the USA’s place in that. The game was a challenge issued to our whole group by the Beit Sahour city league girls team. These were high schoolers, and despite our best efforts, they beat us 3-1. Johnny, our very passionate de facto coach, kept us entertained with his yelling how bad we were from his sideline perspective. A rematch was scheduled for Friday. It was then that I learned that I was not alone. A wave of sickness had rippled throughout our numbers, displaying the same symptoms at around the same time. We have our suspicions. Remember that aqueduct from 36 hours previous? Trust us, they said. The filter will protect you, they said. Throughout the remainder of the week, there were many more speakers. With the Badil organization, we had a pretty uplifting discussion concerning finding creative solutions to the plight of Palestinian refugees. 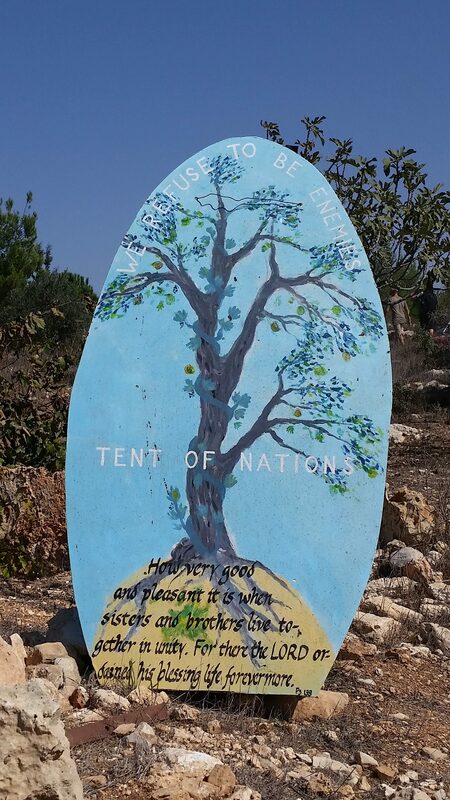 We visited the Tent of Nations, a olive tree-planting organization whose project leader offered an extremely insightful message of non-violent resistance to the occupation. Its mottos include “We Refuse to Be Enemies” as well as “We Refuse to Be Victims”. Those of our group who were healthy even helped clear some bushes for future planting (while the rest of us sat pathetically in a cave). 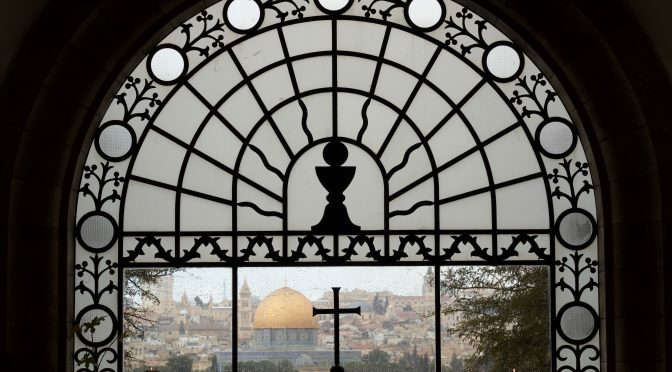 From the organization of Kairos Palestine, we heard about the call to Palestinian Christians and perspective of a religious movement in resistance. The energy and intention behind all of these different groups and all of the various approaches to the problem is most empowering. 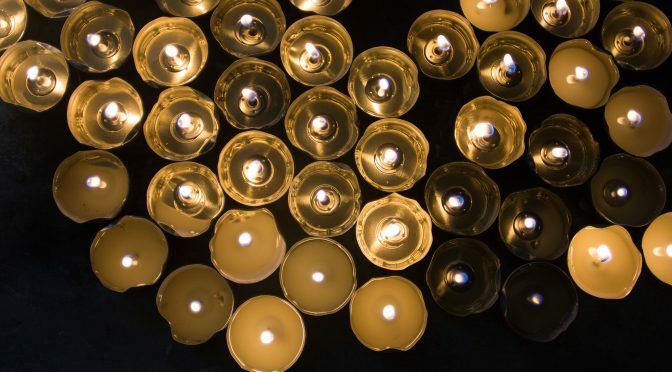 So much of what we’ve been seeing and hearing is only angering, saddening, or both, and the exposure to some strong forces of hope has given us something to help bear the weight of the reality here. Two additionally positive notes to close this week on: First, EMU won the rematch 5-0, and Johnny did not kill us all. Second, we had a lovely farewell dinner party on Saturday night with our friends from ATG. It also served as a graduation of sorts from Arabic studies. The food was fantastic, as usual, but the live music was perhaps even more spectacular. What is reportedly one of the best bands in Palestine jammed out on the oud, bouzouki, and kanun as we did some mightily awkward dancing. That’s a good memory to end our stay here with – the memory that beautiful Palestinian culture can still shine through the conflict that has overshadowed so much of its identity in the world’s eyes. Next stop: Israel, the other main player in this conflict. What stories will we see and hear there, I wonder? How will we be able to reconcile them with that which we now carry with us? 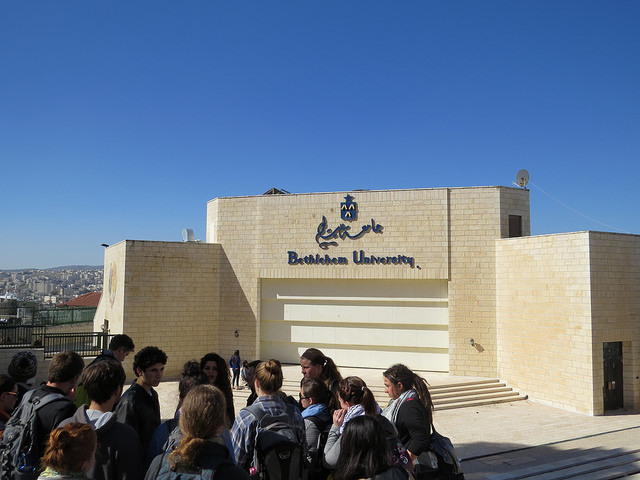 This past week was our second and final week at Jerusalem University College. After taking our first test Saturday morning and a free afternoon, we started off strong with field studies again Sunday morning. 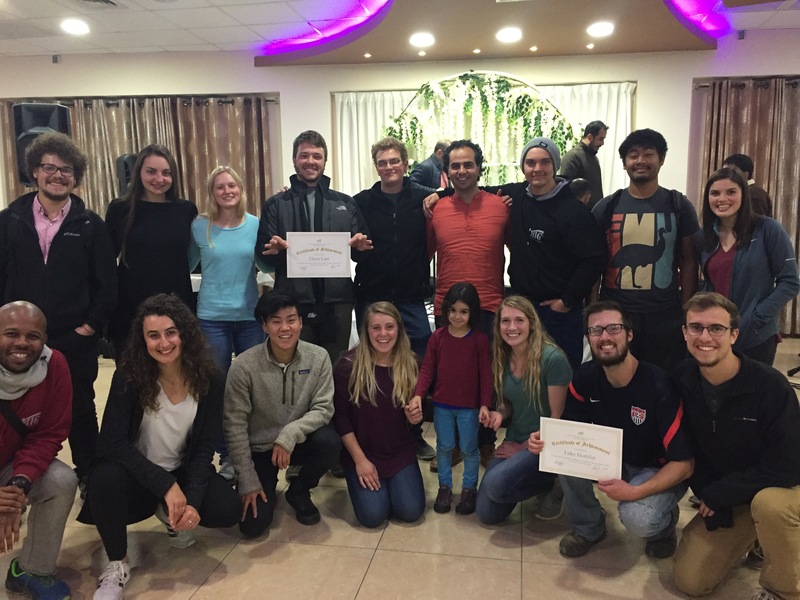 This past week was quite a bit different from our first week at Jerusalem University College as we spent much of our days and nights on the field. 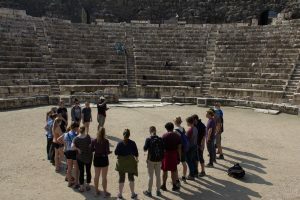 With Kaitlyn, our instructor, we traversed the Mediterranean coast from Ashkelon to Cesarean Maritma, explored the hot dry southern area of the Negev, visited the Golan up by Syria, and sailed across the Sea of Galilee by way of Capernum. We learned in freezing wind, scorching heat, hail, and ate countless pita sandwiches. We also visited many tels and ruins of historical significance such as Kirebet Qumran, Beer Sheeba, Ceasarea Philipi, Magdala, Megiddo, and Dan (in fact there are over 35 places where I recorded notes). Now, thanks to Kaitlyn, we can all locate said places on a map, describe its soil type, draw the major routes which go through it, and name the Bible story which took place there. Learning and reading Bible stories in their actual locations will forever change the way in which I read the text. It is still surreal to think of all the places we walked, and my understanding of the Bible has grown from standing in Caesarea where Paul was imprisoned, the ruins of Megiddo where Josiah dies, and Mt. Carmel where the Israelites worshiped Bael. The most impactful story was seeing the types of rock which Moses hit in the wilderness of the Negev instead of speaking to it like he was supposed to. This rock usually has water built up behind it, thus Moses striking it was not a reflection of Gods power, as it was when he struck the rock in the Sinai, but rather a portrayal of his own selfishness. Learning this information transformed how I understand this particular story. Kaityln also continually encouraged us to examine our own faith and ask deep questions such as: what do we as people of faith do when the archeology and the text don’t line up? While we spent much of the week taking in and processing vast amounts of information, we had plenty of time to enjoy ourselves and soak in this once in a lifetime experience we are having. Some highlights included swimming-rather floating in the Dead Sea, hiking Hippus at sunrise, and Isaac Alderfer beating the JUC record of running up Masada by one second with a time of 2:31. My own personal highlight was the hotel we stayed at which was right on the Sea of Galilee. Not only was the buffet scrumptious, but our bungalows were right on the water which served as a beautiful backdrop to our academic learning. The proximity to the sea was perfect for morning swimming as well as sunset swimming, and, of course, night swims. 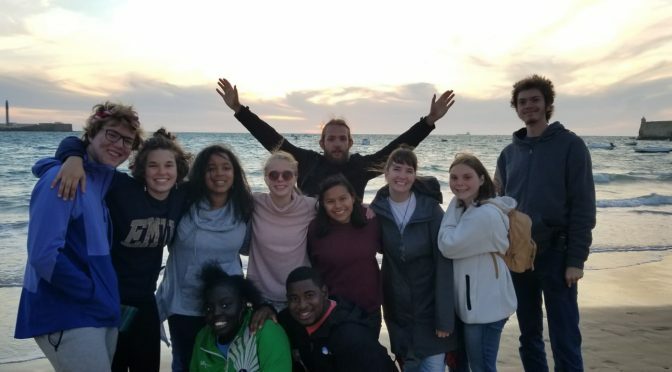 Now, after taking our last test, our time at JUC has come to a close and we are all splitting off in groups for our free travel, for a much needed break before we transition to the next part of our program. 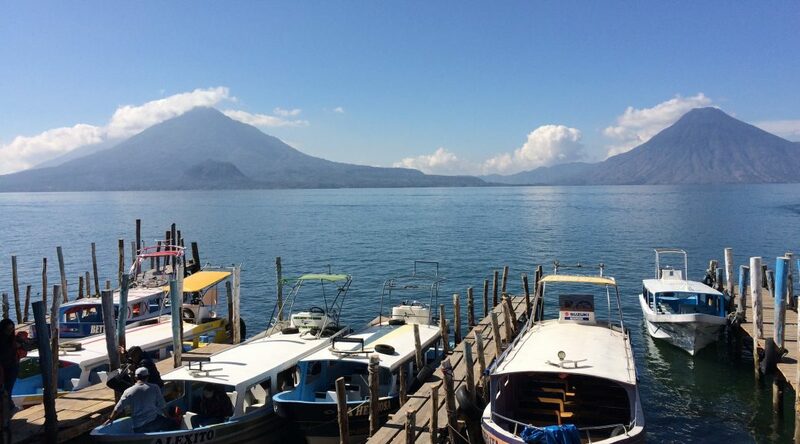 Imagine this: riding a boat on Lago Atitlan, a lake so blue and beautiful, you can hardly believe the toxins and pollution it contains. A lake surrounded by tall green volcanoes covered in green trees, coffee plants, colorful, touristy markets, and people’s homes. 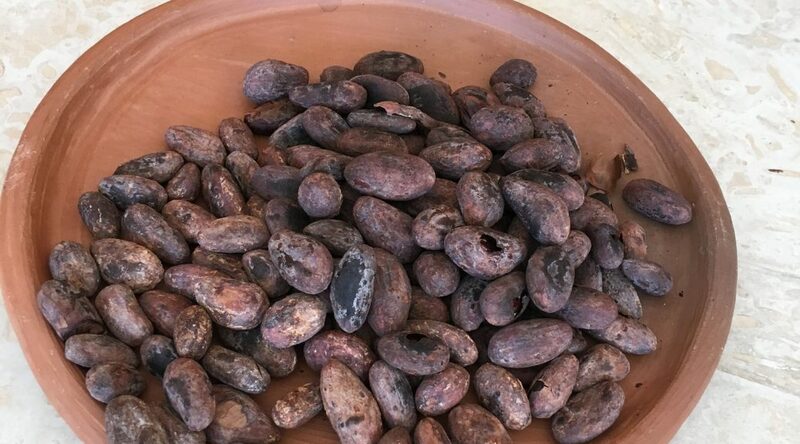 Imagine wandering the streets, sun on your face, admiring and buying the beautiful textiles (which you can’t help but wonder who made them, and for what price), making (somewhat) feeble attempts at bargaining. Feeling somewhat out of your element, yet feeling oddly welcomed into a place that is know by some as “gringo-tenango”. Indigenous people walking the streets in traditional Mayan dress, as you drive past in a tuk-tuk or standing in the back of a pickup, laughing at the tears streaming down your faces from the wind. The warm hospitality you feel from being welcomed into a stranger’s home, eating the meals that they’ve prepared for you, and sleeping in the bed they’ve made for you. Breathing in the dust as you play soccer with the local children, your heart filling with joy as they gather around you, excitedly sharing all of the words that they know in English, chatting enthusiastically with you in Spanish, and attempting to teach you some words in their native tongue, tz’utujil. Trying to live in the moment, taking in all of the sights and sounds, watching all of the people you pass by, a spectator in their everyday lives. My weekend in Coban was a beautiful experience. It opened my eyes … staying with a family that did not have much, and realizing these people are still happy and grateful for what they have. I kept looking at my life and their life, and thought about how much of a privilege it is to be able to go to school, it’s also a privilege to be able to travel, have a car etc. It was beautiful to see my host mom and her kids gathered around the fire interacting with each other. 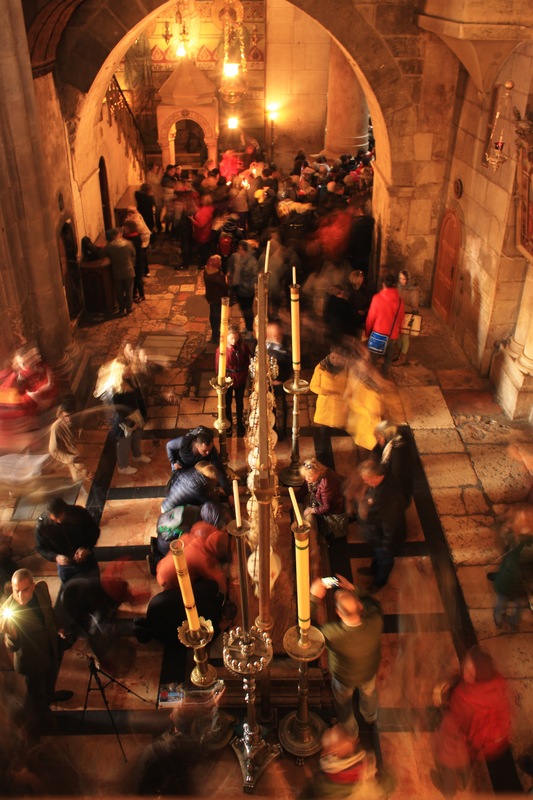 This week has found us transitioning to Jerusalem, our next port of call on this journey. Here, we’re staying and working with Jerusalem University College, where we’re focusing more on Biblical geography in and around the Promised Land, right here where we are. 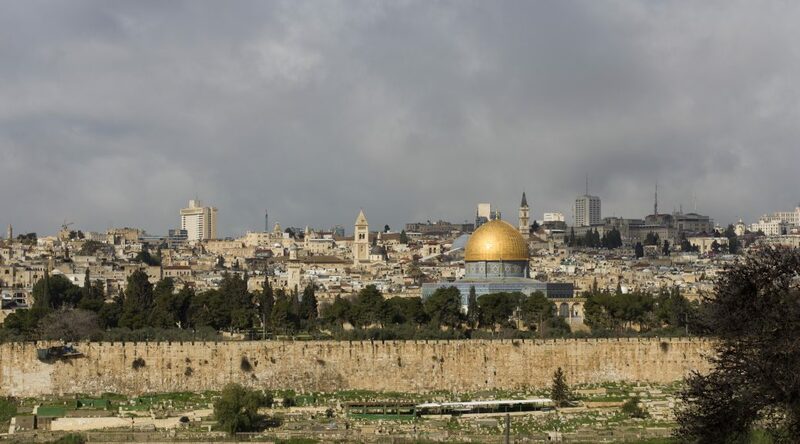 Jerusalem itself is only a few miles from Beit Sahour, about a half hour drive in our bus, but the two cities are very different in some ways. One prominent difference being that water is much more easily accessible here for citizens of Israel and Jerusalem, as observed by the distinct lack of water tanks on the rooftops here. Aside from that, the whole atmosphere of the city is different in a way that’s hard to describe – little things like having lanes on the road and stoplights as well as crosswalks, more variety in architecture, the mood of the people around here, and much more. Jerusalem University College is located just outside the southwestern corner of the Old City here, with easy access to the Zion Gate on the southern wall and the Jaffa gate on the western wall. We’ve had the opportunity to go explore the Old City both on our own and as part of the many field studies that we go out on every day as part of our academic program here. The Old City’s four quarters – Christian, Muslim, Jewish, and Armenian – are all filled with various holy sites (like Temple Mount and the Dome of the Rock atop it, the Western Wall, the Church of the Holy Sepulchre, and the Cenacle where tradition says the Last Supper was held, to name a few) as well as a diverse myriad of people and shops throughout. There are few other places with this level of historical density, which certainly makes it a new adventure to explore every time we visit it. 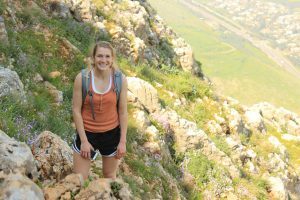 Besides the Old City, our teacher Kaitlyn has also been busy both teaching us in the classroom about the Biblical landscapes around and outside of Jerusalem – regions such as Benjamin, Shephelah, Philistia, Judah, the Negev, and the Galilee, and their many geographical features. We’ve been inundated with information ranging from major roads, cities, the type of rocks and terrain; the empires and peoples, large and small, using the region as their playing boards over the ages; which Biblical stories have happened where, and how specific geographical contexts can explain far more aspects of those stories than we would have considered otherwise, and much more. JUC’s program also has a strong focus on field study, meaning while we do spend hours in the classroom, we spend far more outside of it. 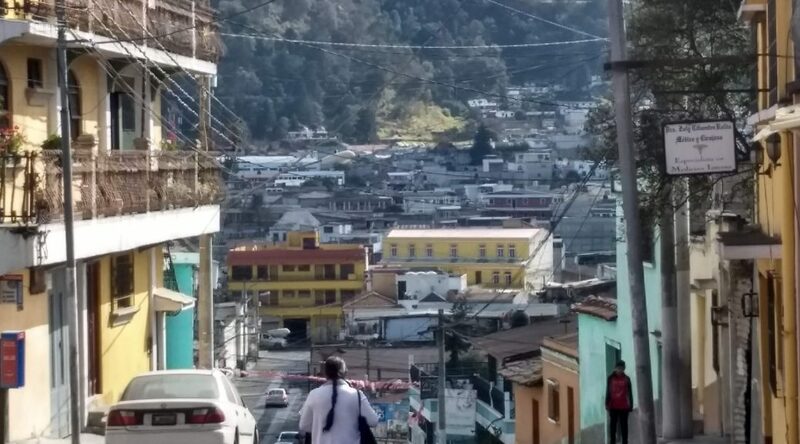 Our trekking is mainly via bus, with many stops to experience places for ourselves as well as listening to Kaitlyn discuss the various places and their historical and geographical significance. More than a few bad puns have been had by both sides, and we’ve plied her with countless questions as we explore the area to actually experience the Biblical land for ourselves. Some of the places we’ve been to include places around Jerusalem like the City of David (where we had a lengthy walk through Hezekiah’s Tunnel, an underground water channel terminating in the Pool of Siloam, the place where Jesus healed a blind man in John 9), Mount Scopus, the Mount of Olives, and the Old City as mentioned previously. Outside Jerusalem, we’ve also touched Jericho, the baptismal site of Jesus, Gethsemane (where Jesus experienced agony and arrest the night before his crucifixion), Bet Shemesh, and Azekah among others that I’m probably forgetting. This coming week, we have more exploration in the Negev and the Galilee regions to look forward to. With the move to Jerusalem and the JUC program, I find myself considering some of the other differences in our own situations – here, we haven’t really touched on current issues here in Israel much, or their relations with Palestinians, whereas back in Beit Sahour that was a focal point of our experience there. However, we’ll be touching on those subjects much more later once we move on from JUC, as well as learning Hebrew. The end of next week also brings with it the start of our week of independent travel, and we’ve been getting many of our final plans together for what to do then. With all the hopping between places, even our longer stays at any one given place like Beit Sahour or here at JUC still feel ephemeral, but the next adventure on this trip is always beckoning, pulling us to the next place. This article really struck me and pleased me at the same time. I’m not exactly sure why, but I have this negative connotation towards mission groups. I loved hearing [the article’s author] Dennis Smith’s sharp critique on this subject. 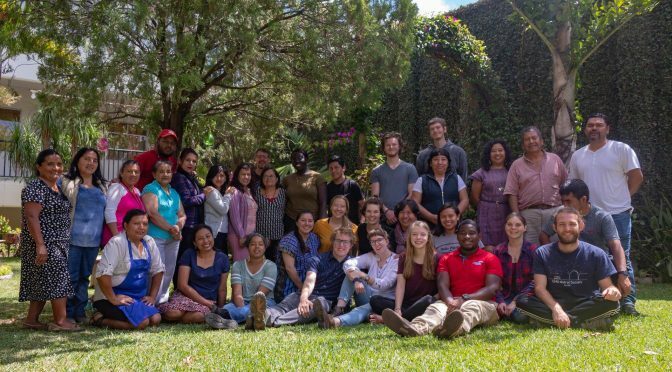 I can’t quite pin where this judgment for mission trips stems from for me, but as I have grown and have expanded my views on religion, the thought of going on a church-based trip – with the belief that it is a “God-given right” to help people in Central America – with a group who, most likely, is mostly white, does not seem very enlightening to me. 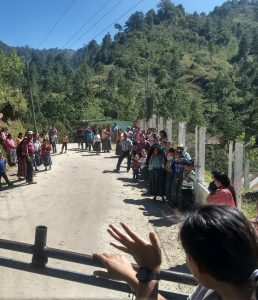 While I was reading Smith’s article, I couldn’t help but think about all of the week-long mission groups that have passed through CASAS; most of them white, most of them with the same sized luggage that I brought for an entire semester, and most of them with little to no Spanish skills. 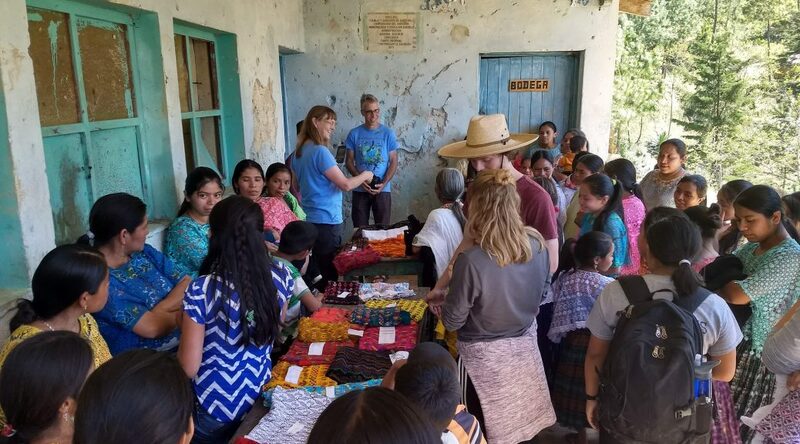 This article, while it brought more views and a great critique to the table about week-long mission trips, did not make me feel uncomfortable. I maybe felt embarrassed for the culture that we Americans bring to others, like Guatemala’s hospitable culture. I think that’s one of the biggest setbacks I have as a student being here in Guatemala. 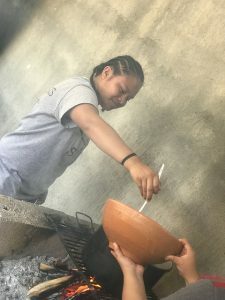 It’s hard for anyone to set their culture aside and embrace the culture surrounding them, but I’ve truly tried to make a conscious choice to be aware of the culture around me and be respectful of it. I’m not sure if I’m correct, but the biggest “lesson” that I take away from this reading is, if you aren’t willing to take the time to appreciate and learn about other cultures, a mission trip trying to “help” the “poor third world country” is really doing more harm than anything else. To me, it only reiterates the subconscious dominance we feel with our American culture. There are many things I’ve learned about the Maya, many things I’ve seen and felt and read. To be Mayan is to carry weight. Literally, Mayans carry weight all the time — baskets on their heads, bundles on their backs. But, in another sense, there is a greater more permanent weight that Mayans carry. This is a historical weight. This is a weight of rich culture, of back-bending harms done, of stories told and not told, of traditions lost to modernization. And where is the beauty of this culture? They carry that too. And too many times it’s the only thing we see. the shell that I call home is being broken into. that strips me of all my moisture. I then realize it’s coming from me. Where an oval-y rock comes out of nowhere and beats me. One similar to liquid but rather sticky. But I’ll gladly die knowing I made them happy. Hello friends! Since our last post we’ve enjoyed another week in beautiful Beit Sahour. Week 2 in Palestine has included more bonding with our host families, several trips to local sites, and – you guessed it – many more falafel sandwiches. We have continued to enjoy lectures from professors from the local Bethlehem University on various topics including Palestinian literature and history, women’s issues, and Christians in the area. My favorite part of our lectures so far has been reading poetry from prominent Palestinian poets Mahmoud Darwish, Jamal Assadi and others. Poetry has a way of conveying concepts and ideas in a way unlike any other. My reading list has nearly doubled from Dr. Shomali’s recommendations and I look forward to getting started on some new novels soon! Our first trip of the week was to the Applied Research Institute Jerusalem where we learned more about the separation wall, occupation, and water issues within the West Bank. We had an engaging conversation about the role of the United States within the Israeli-Palestinian conflict. The presentation was very helpful in gaining understanding of different aspects of the situation as our group continues to engage and process all that we are hearing. We also enjoyed a visit to the impressive archaeological site of Herodion. Situated on a hilltop overlooking Jerusalem and the surrounding towns the summer palace and fortress built by King Herod, the ruler of Judea, later became his final resting place. The site is an architectural marvel that includes an amphitheater, palace, and a series of underground tunnels. The king’s tomb lies somewhere within the site but remains unfound due to erosion. The view from the top of the mountain had birds-eye views of the lush valley below including the glimmering gold Dome of the Rock and the dark green Mount of Olives. Our final visit of the week was to the Talita Kumi School in the neighboring town of Beit Jala. The grounds serve as both a Lutheran school and an environmental center. The center does important research regarding birds who are native to the area and who migrate through Palestine through bird tagging and other environmental initiatives. The center welcomes students from surrounding towns and helps educate them about local wildlife and how to help preserve and protect the natural beauty of their home. It’s hard to believe that we have just one more week in Beit Sahour. It has been such a valuable experience to live with, speak with, and learn from Palestinians from all walks of life. This has easily been my favorite part of the trip so far and I look forward to what this next and final week will bring! After three weeks of hotel-hopping (and bedouin camp-hopping), we’re glad to be somewhere we can really settle in: Beit Sahour. A Palestinian town in the Israeli-occupied West Bank, Beit Sahour is south of Jerusalem and a short walk downhill from Bethlehem. Of its 15,000 people, 75% are Christians, and we’re all staying with Palestinian Christian host families for the three weeks we’re here. Austin and I are loving our stay with Reema and Philippe, our host grandparents. Reema has told us that we are her grandchildren now, and she treats us with wonderful hospitality, patient help with our Arabic, and delicious food every breakfast and supper—I ate so many stuffed grape leaves, stuffed tomatoes, and stuffed zucchini on Thursday that I felt like a stuffed vegetable myself. We’ve had fun hanging out with Reema and Philippe’s grandchildren, who live nearby, in the evenings. Elianna, 18, is fluent in English, and tells Austin and me great stories about her life in college and travels to other countries. Ayman, 15, is our business-minded host brother who invited us to play bilyardo (pool) with him and his friends a few nights ago… we didn’t stand a chance. And Jeries, 7, entertained/exhausted us with hours of hide-and-seek, tag, and the floor is lava on our second night here. He and Elianna are helping us learn our Arabic numbers and colors through UNO (or should I say, wāḥad?). About half of our days are spent at our home base, a classroom in Beit Sahour near the Old City. On those days, we have a 3-hour Arabic lesson in the morning. 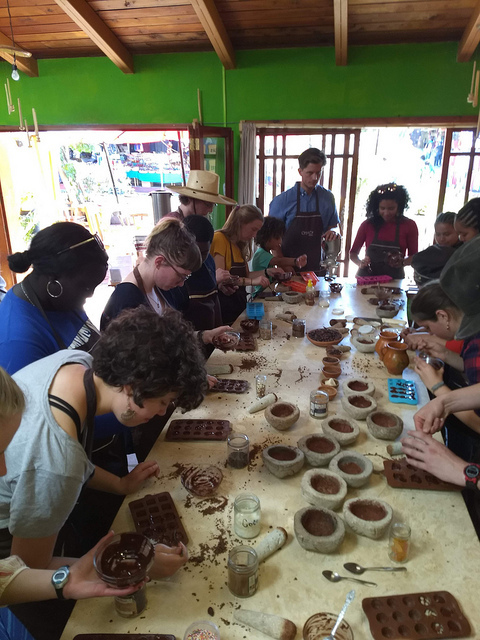 We’re split up into two groups and focus on learning practical, spoken language that we can put to use right away on the street and in our host families. After the lesson, we’re on our own for lunch with a 15-shekel stipend from Linford and Janet. Here our strategies vary, with some spending most of their money on a 12-shekel shawarma sandwich, while others go with the standard 4-shekel falafel sandwich and supplement with an apple, pomegranate, or piece of freshly-baked pita bread. In the afternoon, we gather again for a lecture and discussion. We began by hearing about Palestinian literature and the beginnings of the Israeli-Palestinian conflict from two professors from Bethlehem University. On Friday, we watched The Wanted 18, a funny but impactful movie about Beit Sahour during the first intifada in 1993. It tells the story of how the citizens of the town (including some people we’ve met or will meet) resisted the Israeli occupation by buying cows to start a dairy farm, and later hiding them when the Israelis tried to shut it down. When we’re not in the classroom, we’re out on field trips throughout the West Bank. Our first day was a tour of Beit Sahour and Bethlehem, including the Biblical sites of the Shepherds’ Field and the Church of the Nativity, which was built on top of the cave where Jesus may have been born. In multiple places, we saw the border wall that separates the West Bank from Israel and Israeli settlements. In building the wall, Israel inadvertently created a massive canvas for Palestinians to express their opposition to it. 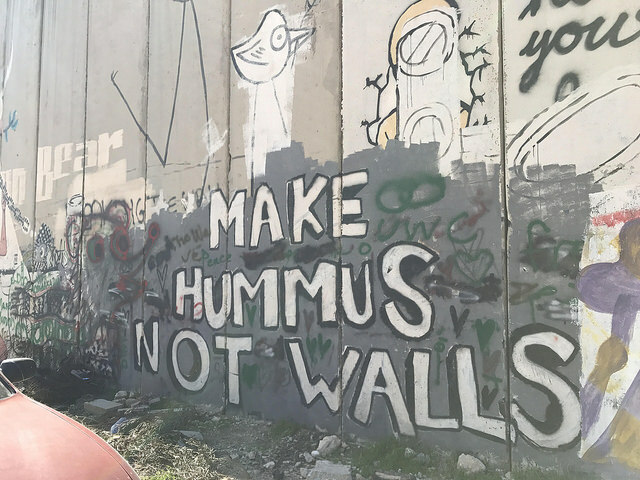 We could have spent a whole day along the wall in Bethlehem just looking at the graffiti, which ranges from serious (stencils of children playing with barbed wire) to humorous (“MAKE HUMMUS NOT WALLS”) to cartoons that mock Donald Trump and his intentions to build a similar wall on the US-Mexico border. My favorite graffiti is back in Beit Sahour, a picture of a “flower thrower” by the mysterious British street artist Banksy. 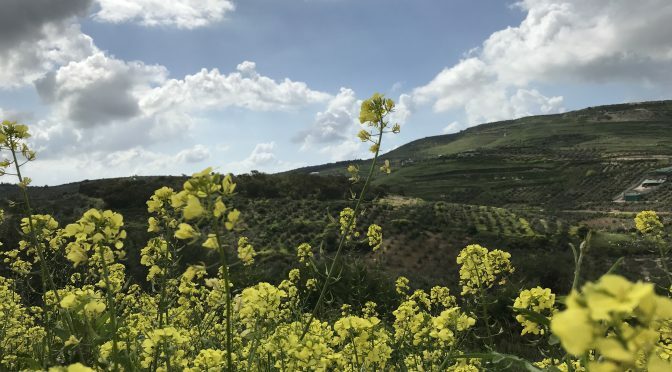 Another of our day trips took us north of Jerusalem, and along the way, we admired the landscape after a few days of rain: beautiful green hills, vineyards, and olive trees, in contrast to the tan desert scenery we’d gotten used to in Egypt and Jordan. We stopped at Taybeh, a town where Jesus went after raising Lazarus from the dead, and which also has a famous brewery. In Jifna, we saw the headquarters from which the Romans operated for an assault on Jerusalem around 70 CE, giving us another glimpse into the empire which has left traces everywhere we’ve visited so far. For lunch, we wandered in the rain through downtown Ramallah, the current political and economic capital of the West Bank, and the struggle between shawarma and falafel continued. Some of us couldn’t resist and opted for a bit of both. We ended by visiting the new Yasser Arafat museum to learn more about the Palestinian leader who tried to make peace with Israel. 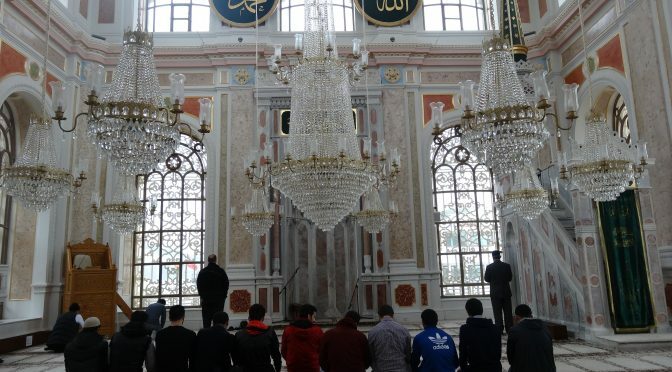 While we continue to enjoy the manageable and rewarding challenges of learning some Arabic and living with host families, our conversations with the locals and experiences on our day trips remind us of the much larger, much more sobering issues in the places that surround us. The divide between Israelis and Palestinians seems impossible to bridge—one of our Palestinian lecturers told us that there is “no hope at all in our present situation.” It can certainly feel hopeless to learn about a conflict that began more than 100 years ago and realize that it’s still going on today, with very little progress made. Natalie: yalla — “let’s go,” because it brings back memories of being in Egypt with our guide Samer. Collin: fi lmišmeš — “when hell freezes over,” or literally, “in the apricot,” because it’s funny. Jessie: ilbēt bētek — “feel at home,” or literally, “the house is your house,” because it’s really sweet. Elliott: haġar, wara’a, ʿm’as — “rock, paper, scissors,” because our Jordanian guide Mahmoud’s son taught it to me. Anisa: waqt — “time,” because it sounds cool. Luke: yōm saʿīd — “have a good/happy day,” because my host dad smiles whenever I say it to him. Allison: tšarrafna — “nice to meet you,” because when I get the chance to say it, it means I’ve met someone new. Daniil: inšālla — “God willing,” because it often implies maybe, maybe not, I’m not in control. Marianna: rummān — “pomegranate,” because I’ve indulged so much on this trip. Good memories. Isaac Alderfer: šāy — “tea,” because it’s a part of every day and I need it to function. Carly: ḥilu — “sweet,” because I’m eating too many kinder bars, the candy is awesome. Silas: habībi — “friend, lover, or anything in between,” because it was my nickname in Elementary Arabic class. Karissa: also habībi, because it’s fun to say and you hear it a lot here. Nealon: hašīš — “grass,” because I like grass. Rachael: šukran — “thank you,” because it’s the only word I can consistently remember when I try to speak Arabic on the streets. Isaac Andreas: šwayy — “a little,” because I don’t always want lots. Erin: mumtaz! — “awesome!” because we’ve seen so many awesome things, so I use it a lot. “I feel tall,” said Maya as we were talking about what we noticed in Guatemala after a week. I couldn’t help but laugh at her comment because I couldn’t relate and I thought it was comical. I actually feel like I am an average size here in a funny way. In the United States I am shorter [than most], but here I am not the shortest one. I have seen various people of different color, size, height, and languages. The one difference that I admire and love about this country is the open society it is. Strangers just come up to talk to you and acknowledge your presence. People are so welcoming and friendly. I sometimes wonder if America could ever be that way. While walking around, I see and feel the liveliness this country has. The streets are filled with people, the kids are filling up the playground, the traffic is full of cars and buses filled with people, and there is not a place where people are not gathering. 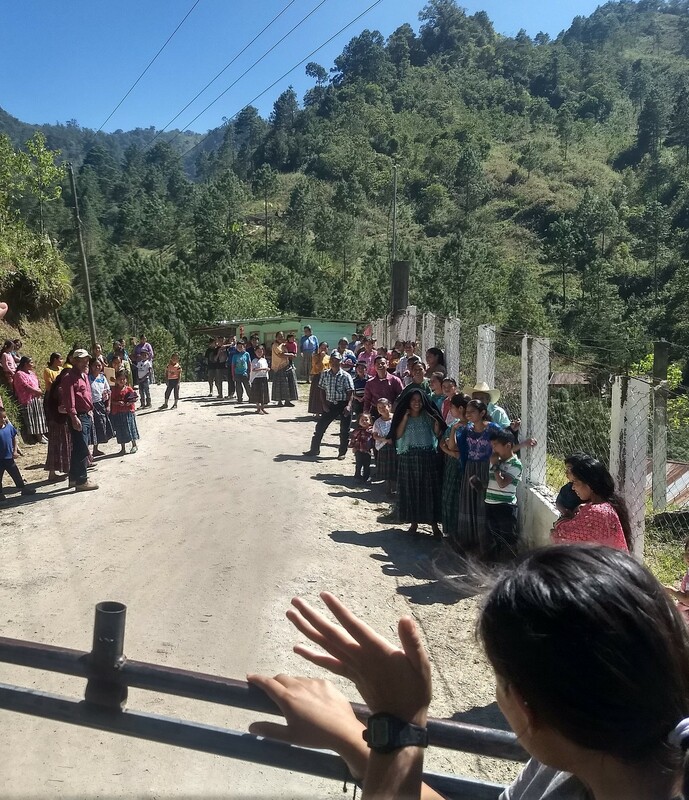 Despite the corrupt government, tragic history and living conditions, the people in Guatemala open their arms and homes to newcomers. 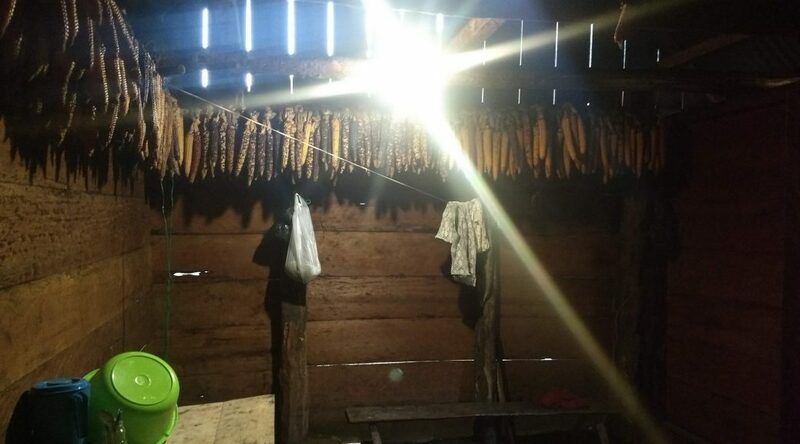 I have experienced that during my stay with my host family and CASAS. They welcomed us as well as encouraged us to learn and understand their country to deepen our connection with them. They also want us to try to learn the language, even if we mispronounce words or speak in Spanglish. I have learned so much about this country already, but there is more to know. I am eager to see what all I’ll learn and see in this beautiful, welcoming country as we continue our travel.